Meyer Lemons have very thin skin and do not store well, so we try to leave them on the tree as long as possible (for storage until fresh). We got lucky this year! 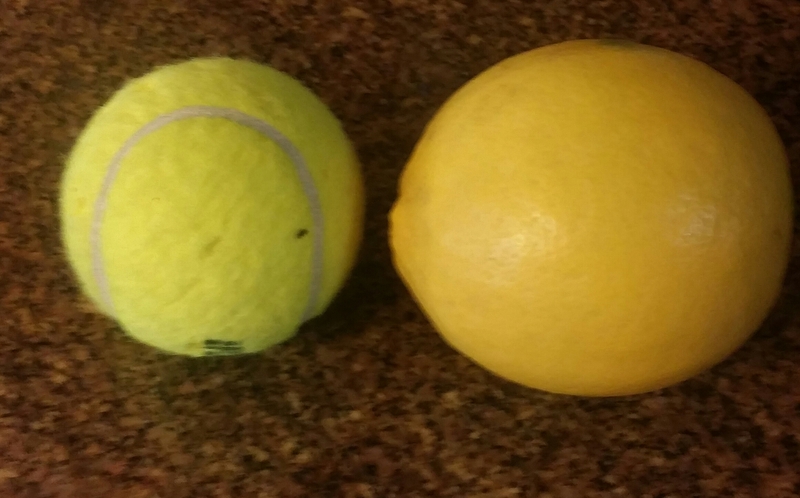 These beautiful lemons are fully ripened and quite large (compare to the tennis ball). Furthermore, the shape of the lemon is almost like an orange — and there’s a perfectly good explanation! Meyer Lemons resulted from a cross between an orange and a lemon. As a consequence, they are not true lemons, have less acidity than true lemons, and, they tend to be large and remind us of oranges. Finally, introduced from China, these lemons have greater cold hardiness than true lemons. Our tree froze in the winter, 2013, so we had no lemons in 2014. 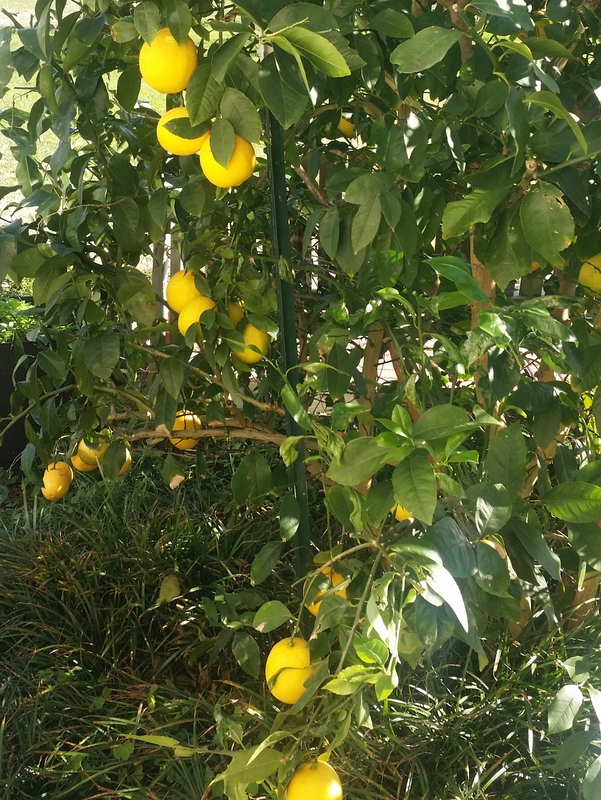 Fortunately, this tree also has multiple trunks and can re-grow from the base (as long as it has not frozen down to the ground), so we have a bounty of Meyer lemons this year. Check my recipes section (under “In the Kitchen”) for a few desserts and Enjoy!